(VIDEO) His Royal Highness Prince Daniel of Sweden Attends the 2016 Idrottens Dag. On Sunday, September 11, 2016, His Royal Highness Prince Daniel of Sweden attended the 2016 Idrottens Dag held at Haga Park in Stockholm, Sweden. Watching today’s children’s race were Her Royal Highness Crown Princess Victoria of Sweden and Her Royal Highness Princess Estelle of Sweden. 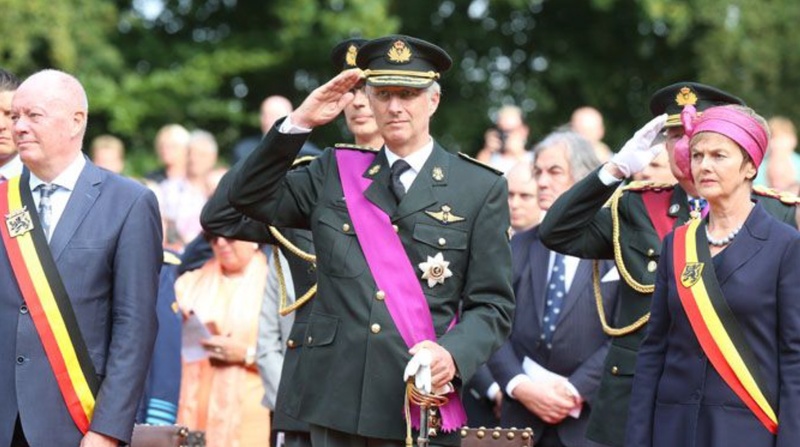 (VIDEO) HIs Majesty King Philippe of Belgium Attends a Commemoration Ceremony. On Sunday, September 11, 2016, His Majesty King Philippe of Belgium arrived at the Adegem Canadian War Cemetery in East Flanders to attend the 70th commemoration ceremony in honor of the British, Canadian and Polish soldiers who died for the liberation of Belgium at the end of World War II. Click here to watch a video news clip (in French).